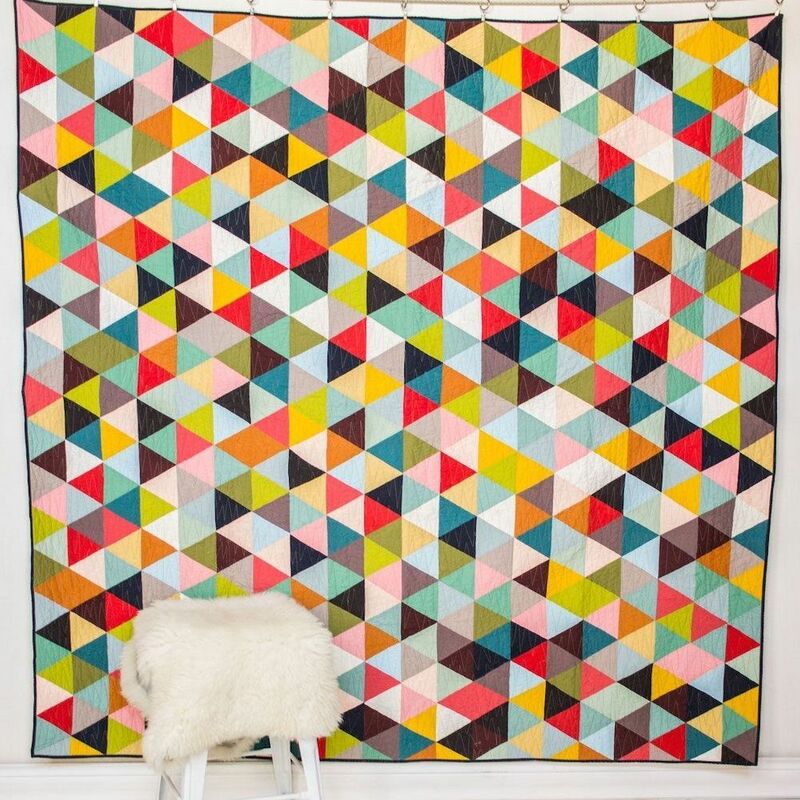 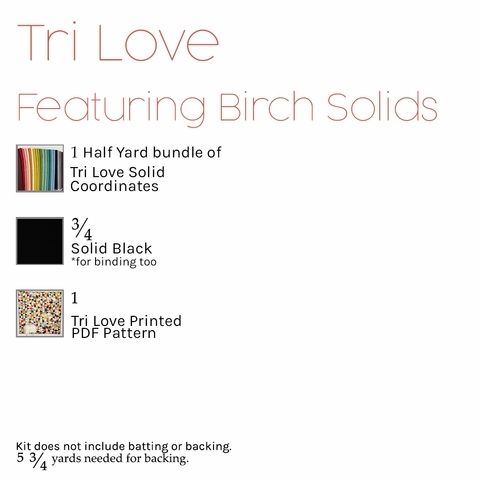 The Tri Love Quilt is a dazzling beginner friendly pattern brought to you by Birch Fabrics and Melissa Lunden of Lunden Designs! 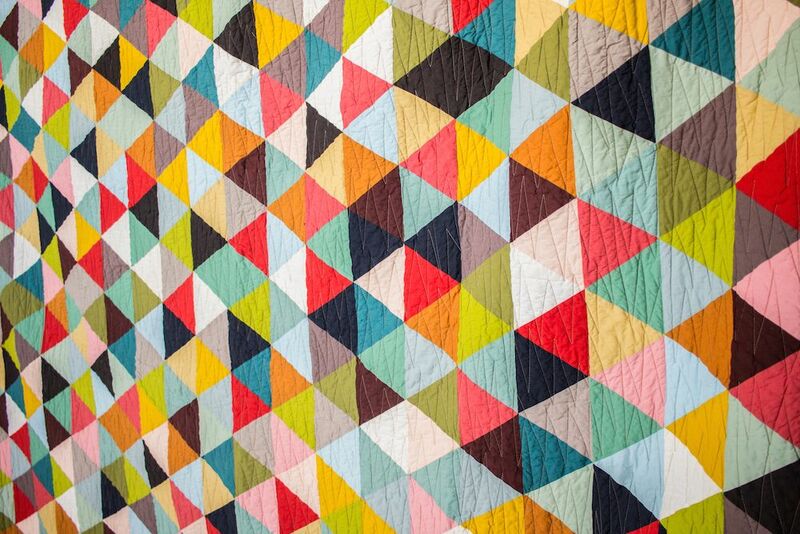 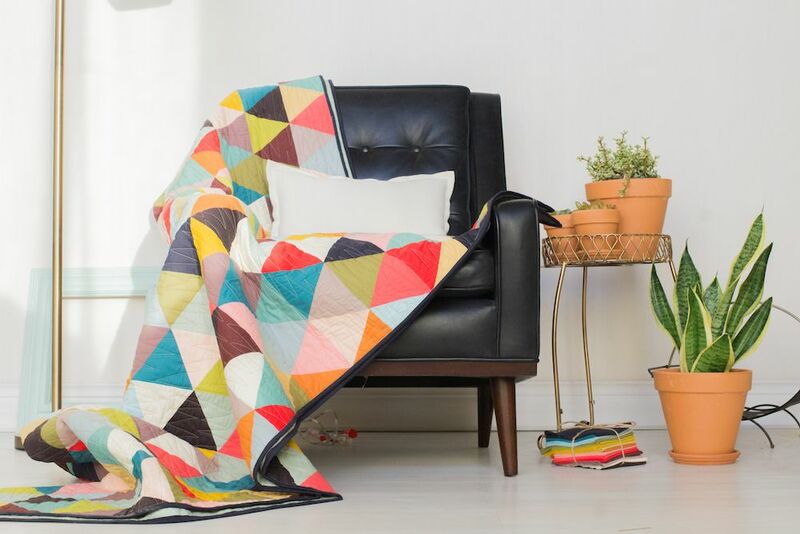 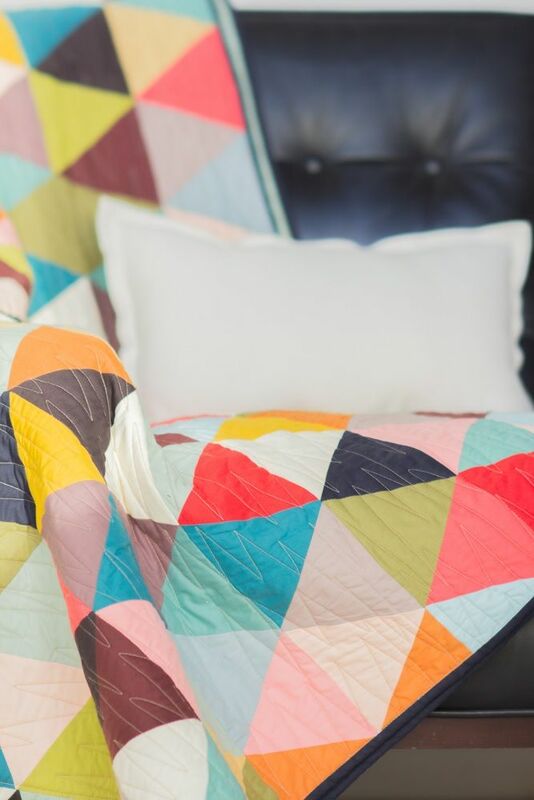 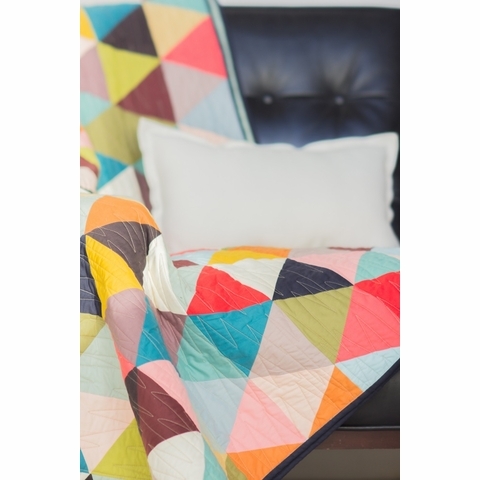 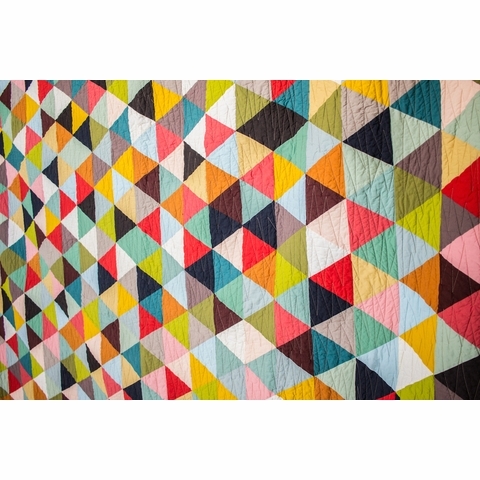 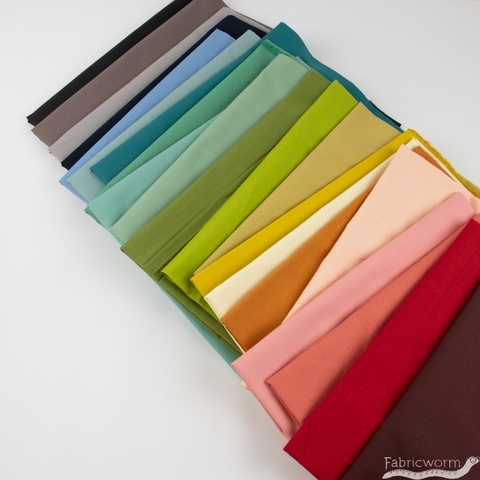 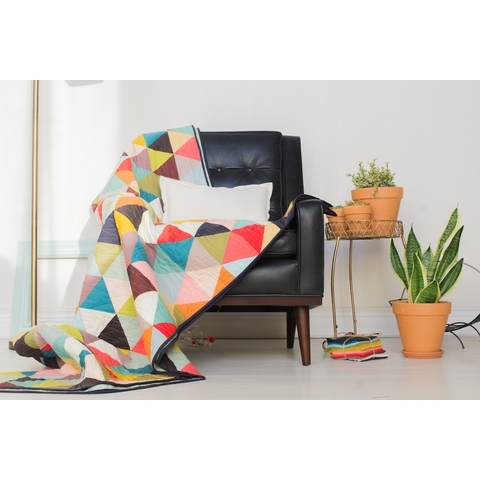 It's easy to make this triangle quilt in any size you wish with all the color your heart desires. 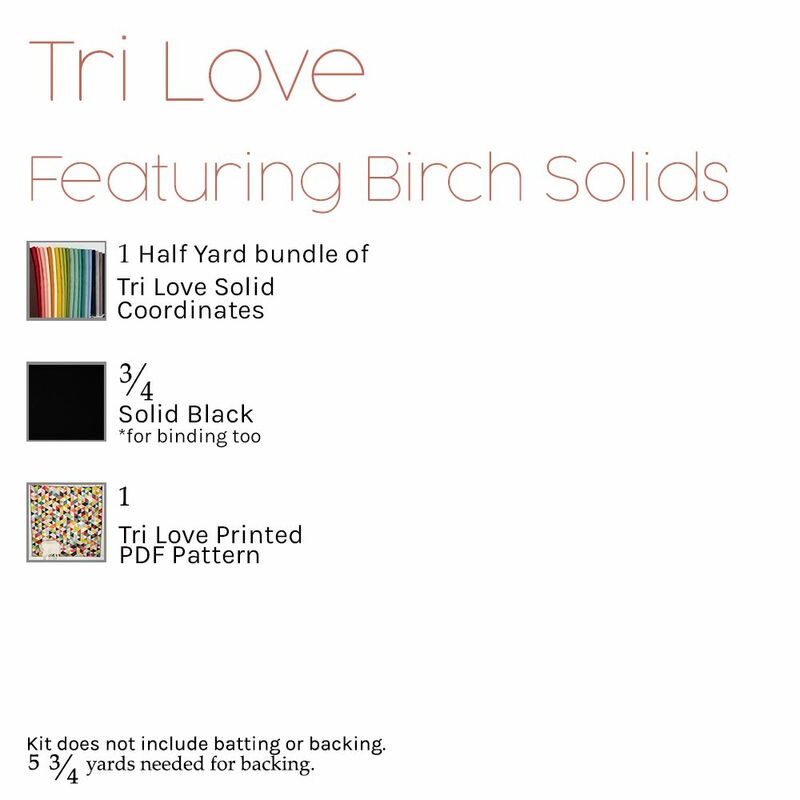 Finished Size: 88" x 90"
design Click here to get the Original Tri Love Quilt pattern!